Well known for reliably producing heavy crops. Large trusses of medium-sized fruit. Ideal for greenhouse or outdoor growing. An essential element of your summer salads! GREENHOUSE CULTURE - To grow in heated greenhouses sow January onwards, in a temperature of 16-18°C (60-65°F). Transplant into small pots. Plant out in large pots, growing bags, or into a soil border at 45cm (18") spacing. Pinch out side shoots regularly and when in flower tap or shake plants daily to aid setting. 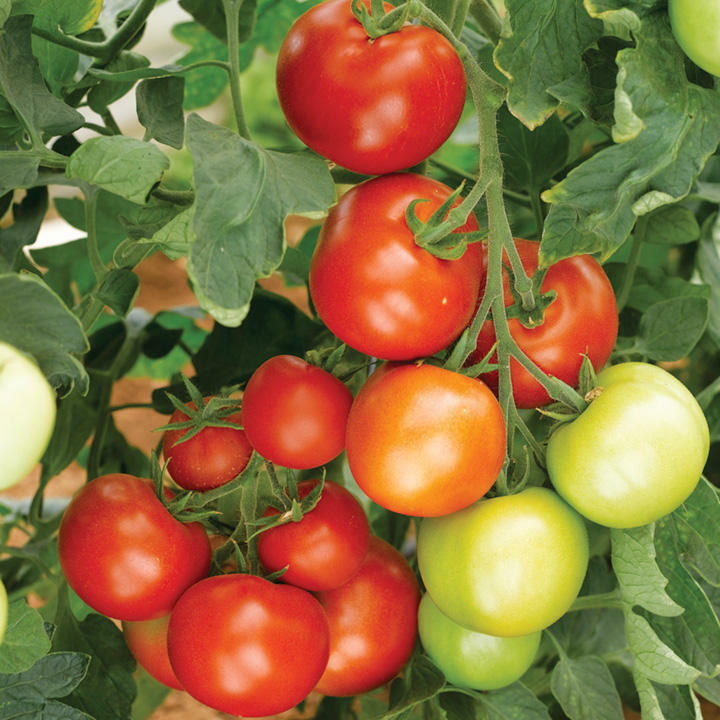 For growing in unheated greenhouses, sow in warmth, from March onwards. Plant late April-early May. Harvest mid August-mid October. OUTDOOR CULTURE - Sow in trays or pots indoors March-April and harden off the plants before planting 45cm (18") apart in early June. Choose a warm, sheltered position. Harvest mid August-mid October. Standard varieties: Support with stakes or canes. Pinch out the main growth when four good trusses have set. Bush varieties: These cease growing when 30-38cm (12-15") high. Dot not remove side shoots. Support is not essential, but short stakes will help control the plants and keep fruit clean.